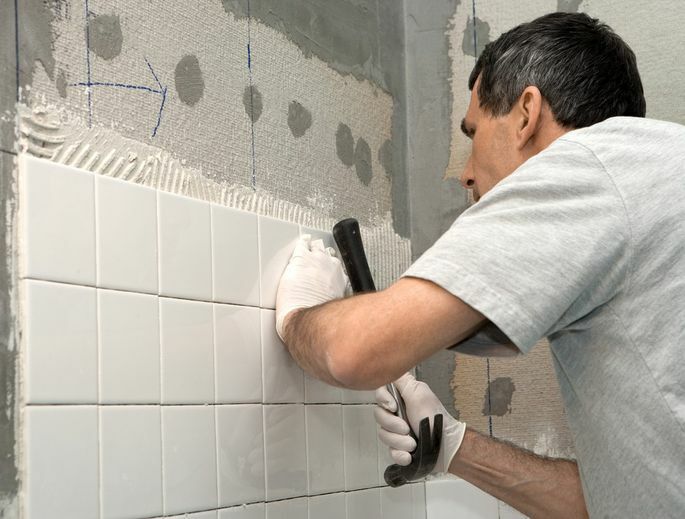 Homeowners aren’t usually thinking about their future tax bills when they embark on a remodeling project. But they’d be smart to at least give them a second thought. That’s because renovations can significantly raise a home’s value, which can increase the amount for which it is assessed. Assessed value is used to determine your property tax. The improvements that would trigger a property’s reassessment vary by location. For example, adding a bathroom in Los Angeles will likely trigger reassessment; in Chicago, as long as the new bathroom is part of the home’s existing livable space footprint, it likely won’t, according to spokesmen from the assessor’s offices in Los Angeles and Cook counties. Home remodeling spending is forecast to rise in the coming year. The Remodeling Futures Program at the Joint Center for Housing Studies of Harvard University recently projected that annual spending growth for home improvements would rise to 6.8% in the second quarter of 2016, up from 2.4% in the third quarter of this year. And as homeowners cram their extended families into their houses this holiday season, they may start to fantasize about projects they’d like to do in the coming year. Adding a new wing to a home will most likely increase your property taxes. But so will finishing space that you already have, such as an attic, garage or basement. “Anything that increases the square footage of the living space is likely to increase the value of the home, and therefore the assessed value,” said Tom Shaer, deputy assessor for communications with the Cook County Assessor’s Office. Your value would likely increase if, say, you finished the attic with walls and flooring, as well as heating, ventilation and air conditioning systems (HVAC), to create a couple of bedrooms and a bathroom, or if you finished the garage, creating a family room. It probably would also increase with a finished basement, though at a different rate than above grade areas of the home (unless a separate-entry apartment is created), Shaer said. Adding a bathroom is a common improvement that will trigger reassessment of a home, mainly because an “additional bathroom allows more people to live in the house,” therefore increasing its value, said Pete Sepp, president of the National Taxpayers Union, a pro-taxpayer lobbying group. But other substantial home alterations may also trigger reassessment in some places. In Los Angeles County, for example, adding a bedroom or fireplace could also make for a bump in property taxes, said Michael Kapp, public information officer for the Los Angeles County assessor’s office. Kitchen renovations are more of a gray area, Kapp said. “If they’re replacing countertops and not extending them, it would probably not [trigger a reassessment],” Kapp said. “If they add additional cabinets or move a wall, for example, that would trigger reassessment,” even if the square footage remains the same. Of course, it probably goes without saying, but if you’re gutting and renovating a rundown abandoned home, you can pretty much bet that your place will be reassessed, said Kelly Balensiefer, the assessor in Benton County, Ind. On the other hand, if an improvement serves to merely update the home, the value won’t likely change — and the assessed value will stay put. “We try to err on the side of the taxpayer,” only reassessing in the case of substantial improvements, Balensiefer said. In some cases, adding a garden shed will trigger a reassessment, Sepp said. An in-ground pool or, perhaps, a very large deck could also equal a bump in your property tax bill, since they may be seen as adding value to the property, Balensiefer said. In Chicago, a screened-in porch won’t add value to the home; make it a four-seasons room with HVAC, and the assessed value will go up, Shaer said. Perhaps even less obvious are improvements made to the property, which have little to do with the house at all. For example, re-grading the lot to improve its drainage, if it was susceptible to flooding or sewer backup, might increase the assessed value, Sepp said.